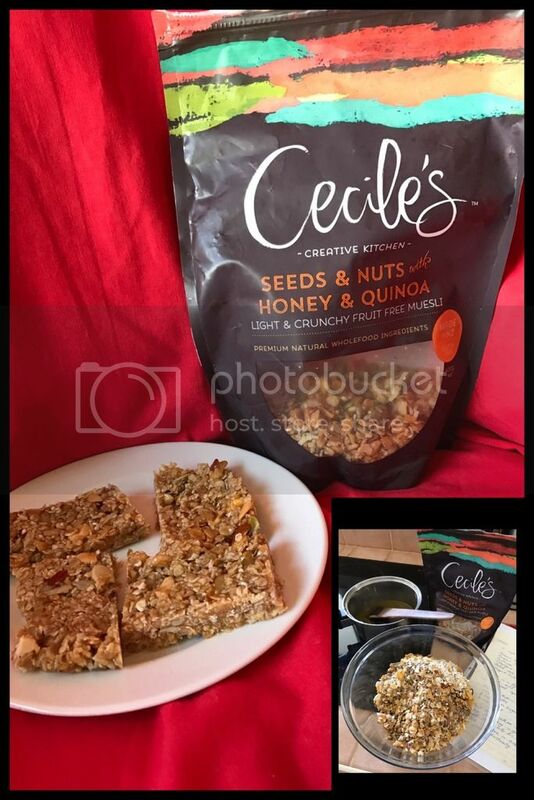 Cecile&apos;s Creative Kitchen Seeds and Nuts with Honey and Quinoa is the perfect blend of sweet and savory, and packed full of nutritious benefits for your body. This combination of Pumpkin Seeds, Sunflower Seeds, and Sesame Seeds, as well as a generous helping of Almonds and Cashew Nuts makes for a light and crunchy mix helping to prepare you for the day ahead. 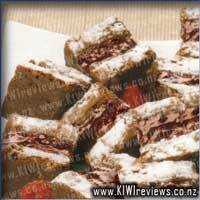 Serve with cold milk or yoghurt, or just eat straight from the pack for a delicious snack. Containes Sesame Seeds, Nuts, may contain traces of Sulfur Dioxide. NOTE: This is the new branding and name for the product previously called "Cec&apos;s Smart Start"
I tell you what since I have changed to a gluten free and lactose free diet I have heard nothing but complaints from my two children. It is difficult at times to be able to afford both gluten free products and non gluten free products in my weekly shop so have to adapt to suit and it is usually me that ends up with the raw deal. 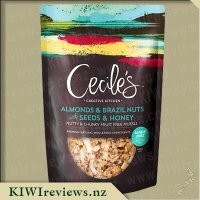 This variety of Cecile&apos;s muesli was a hit with my 5 year old who declared he liked it better than weetbix! 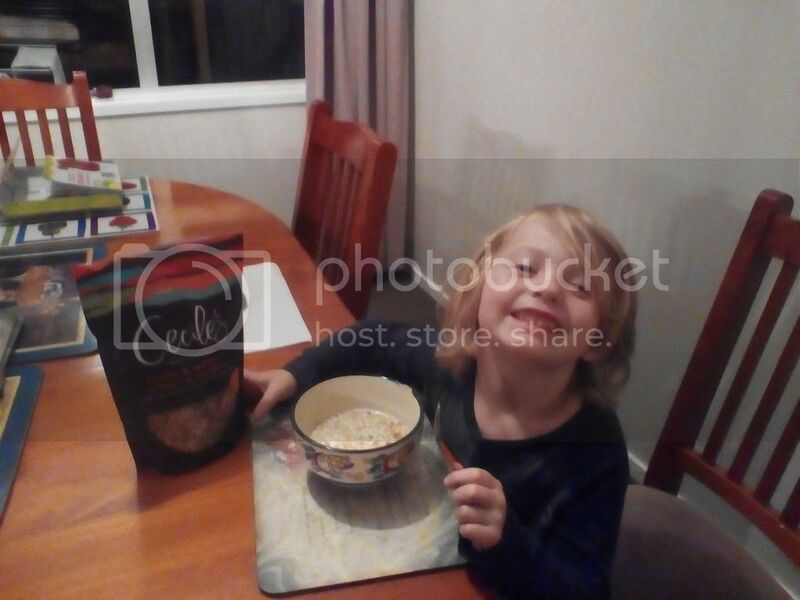 That is quite a statement from an avid weetbix kid! He was so stoked in fact he told me he wanted it for breakfast everyday and with my Almond milk too! Hopefully we can slowly make compromise on "mums yuck food" lol. I can tell you I have tried a lot of gluten free products in the last few months and I have to agree with my children some of them are quite frankly yuck but this is not one of them! I can&apos;t get to grips with any of the gluten free breads and breakfast has been my biggest challenge I usually end up cooking eggs or bacon but who has time for that on a school day so this has been such a godsend. I find I can fill my tummy with the smallest amount of muesli as there are so many ingredients packed into the muesli and things like seeds and nuts are very filling to fuel your body in the morning, I am a huge honey fan so I often add extra honey but you do not really need to as this has a very nice honey flavour already. I add honey to my diet as I do not really have a lot of processed sugars opting instead for more natural sweeteners like maple syrup and honey which I feel are way better for my digestive system. I really love this muesli in that it has all the ingredients I love and having no fruit allows me to add what I like and what wont irritate my teeth or tummy as a lot of time dried fruits can be harsh on my teeth. The new branding is very appealing although I tried under the old branding and loved I think the packaging now is a lot more visually appealing and it still has the window so you can see what is inside the pack. After starting a healthier lifestyle earlier in the year, one of the first things I realised needed changing was my breakfast. I am not a great one for eating breakfast, especially when trying to organise three children and myself all to be out the door, washing done, cats fed.... and then - opps - ran out of time. So, I started looking for a natural, less processed, filling and nutritious breakfast and when I saw this come up for trial, having so far not found anything that really ticked all my boxes - I hoped this one might. First - the packaging - Cecile&apos;s Creative Kitchen does lovely foods, and also, is spot on with the packaging. No extra cardboard, just a resealable packet that looks colorful and pretty, as well as easy to distinguish between the flavours. I adore the clear window, showing me exactly what I am going to be eating and enjoying! 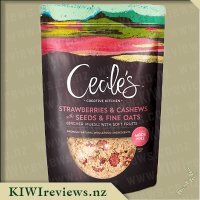 The nutritional information is really good - showing me the breakdown of the muesli, and also that is has wholefoods in it, is Gluten free and free of extra additives, and, my most favourite - made right here in New Zealand. The flavour of the muesli is lovely - and it is filled with all the good things - seeds and nuts for energy and satisfaction, and crispy cornflakes and puffed rice for crunch. Although it says honey and quinoa - I did not taste a lot of honey - for me though, this is good - added sweetness is not something I am very keen on. I did not really notice the quinoa, but a different addition to have is always good. I did add chia seeds, and goji berries to my bowl - and had both yoghurt and milk. I am pleased to say it passed the "no soggy" test - and stayed nice and crunchy! This cereal - like the other Cecile&apos;s that I tried - is a lovely, light, yet totally filling and satisfying breakfast. it is on the pricey side - but, do measure out your recommended amount - I was amazed that the size of it did keep me full - meaning it would last me a lot longer. I do highly recommend trying these cereals - anyone that is aware and trying to put more natural and wholesome food into their body would appreciate these cereals, I am going to try a few more flavours before I decide on my favourite! 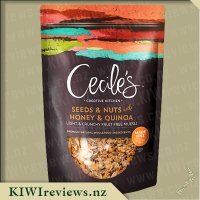 Ceciles Creative Kitchen Seeds & Nuts with Honey & Quinoa is a new favourite in our house and a product that I will be continuing to buy. My husband is a big fan of Quinoa and has raved about the benefits of eating this but I have simply not been able to enjoy eating Quinoa (by itself) in the way that he does. 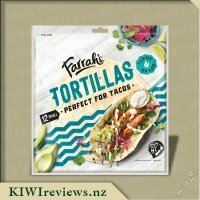 It was for this reason I was initially keen to try this product, to see if there was a way I could like Quinoa and thankfully thanks to this product I&apos;ve found that this is indeed possible! I enjoy having muesli for either breakfast or lunch with banana and plain yoghurt so this for me was the ultimate taste tester which this product passed with flying colours. The fact that this muesli has no added fruit was a total bonus for me as I discovered that I much prefer the mix of nuts and seeds, finding that the mixture was much more lighter and crunchier without the addition of fruit. I&apos;m sure that it also tasted better! You could taste all the different seeds/nuts and the mixture of flavours works nicely together. 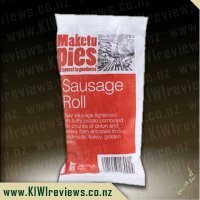 Knowing this product contains no added artificial colours or flavours and is made in New Zealand is another big draw card for me as I like to try and feed my body "good for me" products along with supporting New Zealand made products wherever possible. This product is gluten free which I immediately liked the sound of. Although I don&apos;t have any problems with gluten, my husband is gluten intolerant and tries his best to avoid it where possible. I also have work colleagues who very strictly have gluten free diets due to health reasons. I loved the opportunity to have a product I could share with them as I find it quite hard to find gluten free products for shared lunches etc. In this instance we ate the muesli in handfuls straight from the bag and thoroughly enjoyed every mouthful. It gave me great delight to finally have something I could share with them and even more that it was a product that they enjoyed and have said they will be buying again! Simple yet stand out packaging meant I could easily find this product in our local supermarket which thankfully is a stockist of this great product. The resealable bag is great, its made from sturdy enough plastic that it is able to keep the product safe while travelling and reseals with ease plus keeps the product nice and fresh. I must admit that I&apos;m not fond of how expensive this product is, but it really does taste so amazing that I&apos;m slowly learning to not worry about how much I spend on it! Totally recommend that you try this product, your taste-buds wont regret it. When it comes to eating breakfast I have to admit that I am terrible and I will often skip eating any, mainly because I have never really found a breakfast cereal that I like before. When I saw this muesli available for review I thought it would be well worth trying as I loved the sound of the ingredients which it contains and decided that these would most probably go very well with honey added to the mix. The first thing I noticed was the beautifully presented packaging of this product, the resealable plastic bag in which it comes in is made of a strong plastic and I love how it has been designed so that it can stand upright in your pantry. The other thing I loved about it was the clear plastic viewing window at the front of the bag which allows you to see exactly what the product is like before you purchase it. Right from this point I could see the amazing quality of the product there were lots of sunflower seeds, nuts, pieces of coconut and both cornflakes and rice bubbles, I knew I was onto something good. As I am not a fan of milk on cereal or muesli I opted to try this out for the first time sprinkled over yoghurt. The flavour and texture that it added to a usually boring food was incredible, the taste of the honey was very mild and definitely not overpowering at all, to be honest I felt it could&apos;ve been a little stronger. The cornflakes and rice bubbles were super fresh and crunchy and the addition of the nuts, seeds and coconut was simply delicious and I loved all of the different textures, best of all it never went soggy and Miss 3 also loved it. Since trying this product for the first time I have continued to enjoy it over yoghurt but I have also used it to make some yummy homemade muesli bars that were quick to be gobbled down by my whole family, these were so quick to whip up and tasted great, and are definitely more healthier than anything you will find in your supermarket, even my fussy partner and Miss 3 liked them and there not huge fans of nuts and the likes. This has also gone great mixed up with some brown sugar and butter to create a crumble like topping on top of blueberry muffins, the mixture crisped up just right and it was a tasty addition to help jazz up some muffins. 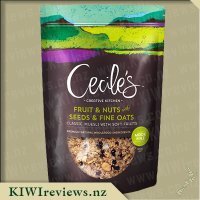 If your after a healthy, nutritious breakfast cereal I recommend you try this it is more expensive than other products on the market but is well worth it, it is full of good for you foods such as nuts, seeds and quinoa and is so versatile best of all it&apos;s made right here in New Zealand. I usually make my own muesli, but the Cec&apos;s Smart Start packaging caught my eye so I decided to try it. Packaging that is resealable is always a bonus as it ensures the contents stay fresh and crisp, and it is bonus when I am travelling as the package material is sturdy and the seal is really strong. I was not disappointed; the cereal remained crisp and tasty even after it had been opened for two weeks. It had a natural crunchiness which was most satisfying. 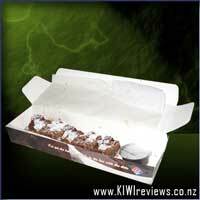 The package information suggests that the 400 gram contents are sufficient for 13 servings. Unfortunately, it was so delicious I went back for a second helping! It is great to see a locally made product on the shelf to challenge the multinational brands on offer, and although the price is rather high, it is something that offers quality ingredients and would be a "special treat" item at home. In terms of taste, this product would be hard to beat. 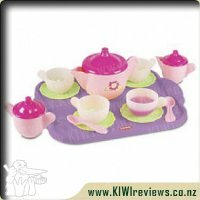 It does taste home made, supporting the manufacturer&apos;s claim that it contains all natural whole food ingredients with both sugar and salt present in only very small amounts. I served it with unsweetened almond and coconut milk, and found there was no need for any additional sweetening. I also tried it with unsweetened soy milk and it was just as delicious. 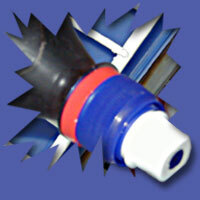 It goes equally well with fruit, whether freshly prepared fruit salad or stewed fruit. I especially enjoyed the combination of the cereal with stewed apple and a little cream. 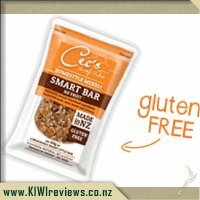 The gluten free muesli was my second pack of Cec&apos;s muesli to review. Similar to the normal muesli, this is packaged in a unique packet which allows you to see the contents of the package and see what you are getting. There is no fruit in this option which for a muesli I find a little strange, but I think having a non-fruit option in the range is a winner, especially it being gluten free as options are often very limited. The colours are great, this one is orange, brown and silver and contributes to the overall gourmet yet natural look of the packaging. I have eaten a lot of this with natural yoghurt and at times a blob of Barkers passion fruit curd into the mix. It&apos;s very fresh and filling without being heavy. The mix within the bag is slightly unusual, which I really like. It contains a lot of seeds, nuts, puffed rice, cornflakes, coconut and quinoa which is a fantastic range of slightly different items that are in the muesli options I normally would purchase. I have taken a pottle of this to work with me and nibbled on it during the day - this was a nice alternative to scroggin but a little but too bitty and small to eat politely! I have used this in making a GF slice which I used 1 cup of the muesli, cranberries and cocoa blended together for the base and bananas, peanut butter, honey and cocoa blended as the topping and frozen. This was interesting - the base still had crunch in it as when it de frosted and it was a great alternative for desert. It&apos;s probably not something I would make all the time as we are not a gluten free house, but if we were I think the muesli would be great to add texture to baking items such as this. I have had a friend comment that this was the best GF option of muesli on the market, so I think if I needed to buy a GF breakfast option this would be a real option for me. The price is quiet high so it would be on those special occasions rather than an &apos;every day&apos; item in our house. 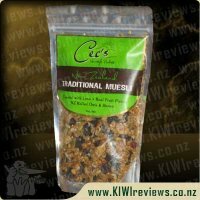 This is a brilliant local New Zealand product that I really would recommend if you were looking at GF muesli options. I love the bright orange on the packaging, it&apos;s very eye catching. I&apos;m always keen to try things that are gluten free, especially as they seem to becoming better and better tasting as the years go by. My first thought about this was that it has a nice taste. I didn&apos;t like it as much as the Traditional Muesli simply because it didn&apos;t have the cranberries. Whilst the taste was nice, I didn&apos;t like it too much and apart from having it for breakfast twice wasn&apos;t really fussed about it at all. Since I didn&apos;t really want it for breakfast I decided to make some muffins. I decided to grate up a couple of carrots as well as the half a bag of this muesli bag. Once the muffins were finished the kids were happy to gobble them down and I was happy knowing that they were getting some good stuff in their diet. I wouldn&apos;t pay $14.50 for this sized bag. It was a nice enough muesli but I wouldn&apos;t buy it. I&apos;m not gluten intolerant and neither are my family But I have many friends who have gluten intolerant children and so I understand the seriousness of it. I&apos;m glad that companies like Cec&apos;s come to the party to offer great tasting, normal food for people with those food challenges. When I got this muesli, the first thing I did was have a nice big bowl of it for breakfast. I did need a lot more than the recommended serving. But I expected that as I am a larger person. The taste was really good. It&apos;s lighter than the normal Cec&apos;s muesli and it has no fruit. But it makes up for that with it&apos;s awesome honey and nut flavour. The seeds in this, just add to that and I found myself instantly loving this cereal. What I found really amazing was how quickly my toddler took to it as well. My eldest is too convinced seeds should not be eaten. But I gave my toddler a handful on her high chair tray and she ate it dry. She came back again and again so I know the flavour was great for her too. One thing I tried was making a gluten free ice cream. I used cream and condensed milk and then a cup of muesli. The cream and condensed milk wasn&apos;t certified gluten free, but you can get those as most dairy products are gluten free. The taste of the ice cream was awesome like honey nut and crunchy, yum! The only thing that would put me off this, because I have no particular need for gluten free, is the price. I am not gluten intolerant and neither are my other family members and I will admit any gluten free products I have tried in the past I haven&apos;t particularly enjoyed. We have bought gluten free bread before and a gluten free cake and both products I found really stodgy and not very nice so have always put gluten free in the &apos;gross&apos; category. Well this muesli proves that gluten free can be absolutely delicious and I take back all my assumptions that gluten free is &apos;gross&apos;. I don&apos;t often buy muesli as a decent muesli is usually quite pricey so it was a bit of a treat getting this to review. Again it is not something I would buy very often as the price is high and the packet wouldn&apos;t last us very long as 3 of us thought this muesli was delicious. I think the price is definitely reflective of the quality of the muesli though as it is packed full of nuts and seeds and the cashews are a real treat. 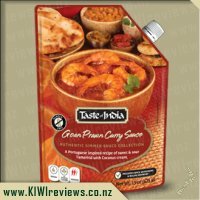 I would buy this again however when I wanted to treat myself as I like supporting the smaller NZ businesses and this is a great product with amazing natural flavours. I had a bowl as soon as I got the packet, I thought it might be boring without the dried fruit as I am a big fan of berries and currants in my muesli, but the nuts and honey give it so much taste that it really doesn&apos;t need them at all. The honey taste is quite strong and naturally sweetens the muesli so you don&apos;t need to add anything but milk although I did enjoy a bowl with some strawberry yoghurt which is my favourite way to serve muesli. My 19 month old son is huge on porridge and isn&apos;t so fussed on cold breakfast cereals, so I stirred some of this through his hot porridge. He really ho&apos;ed into his breakfast that day as it had so much more flavour than plain old porridge although it did take longer to eat with all the extra chewing, but it is good to get him to eat stuff with more of a texture. It is a great cereal for adding extra fibre to the diet which is something I am always aware of with my son and trying to make sure he gets a high fibre healthy, and balanced diet. I made apple crumble with this muesli. I made an apple filling and then topped it with a mixture of the muesli and a knob of butter and cooking in the oven. I called it gourmet apple crumble when serving it to the family as it was so much more of an exciting taste than plain rolled oat topping. The muesli on the top went a little bit crisp, while the muesli close to the apples softened creating a really good range of textures. We served it with vanilla icecream but it really was good enough to eat on it&apos;s own. My sister has a wheat intolerance so I was keen to try Cec&apos;s Gluten Free Muesli to see if it would be suitable for her. She also has an intolerance to potatoes so it was great to see they hadn&apos;t added anything containing potato which would prevent her from eating it. Personally I am fussy with my muesli as I don&apos;t eat many dried fruits. This had the bonus of containing no fruit so great for people like me. Yesterday I had the muesli with yogurt for breakfast and both my girls begged to try it. Today all three of us had muesli and yogurt for breakfast. 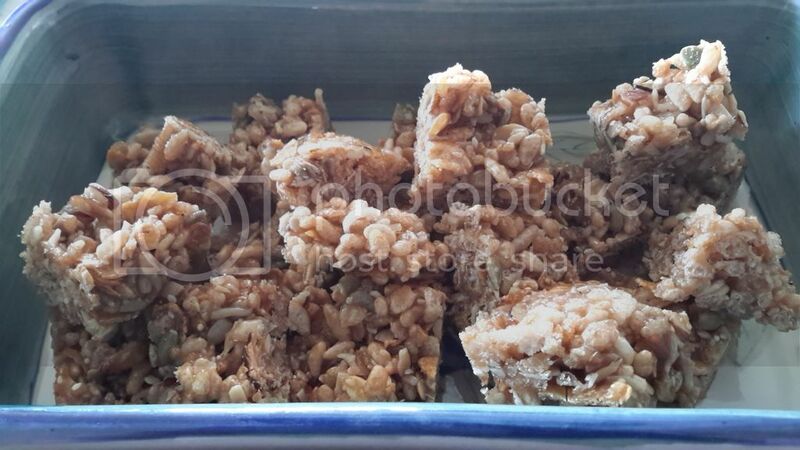 my girls enjoyed it as much which surprised me as they have never shown an interest in muesli or muesli bars before. This muesli contains lots of different grains and nuts. Since it is fruitless it allows you to add the fruits you want to it. I didn&apos;t feel the need to do this as the range of ingredients worked well. There was a good balance of chewing and crunching too. The only thing that I didn&apos;t like was the price. If my girls are going to eat this every day as well as myself we will be going through 1 1/2 packets a week which is over twenty dollars excluding yogurt and anything else we chose to add to it. The price makes it a treat rather than an everyday breakfast. This muesli has two things going for it in my opinion, it is gluten free which is important for a lot of people out there, and it is also free from fruit, which is something else some people don&apos;t like. It comes in a great package, one where you can reseal it across the top after opening, meaning you don&apos;t need another storage container for it as it can stay in it&apos;s own pack without air getting to it. It is attractive packaging letting you see what is inside, but I wonder if it contributes a lot to the price. Once opening the packet the smell is pretty damn good, it smells like something your mum or grandmother may have made, a combination of baking and muesli smells all in one, I couldn&apos;t help but just grab some straight out of the packet to try, it was great. I like how they managed to get the flavour really well without the need for any fruit, something I think a lot of other muesli makers seem to rely on. The sweetness comes from honey and it is just right. I used this product combined with some porridge in the mornings and I think it was just great. Now down to price and pack size, I just don&apos;t think I could justify the price for the amount you get, $14.50 for a 400 gram packet just would be too much for myself, the reason I was adding it the porridge was to help ration it a bit better, I&apos;m a big guy and I could easily go through a packet in a week, although to be fair their are 13 servings per pack, so your mileage might vary. 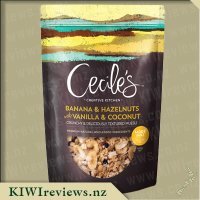 So in summary, a great tasting product that I really enjoyed every morning, just a bit too pricey for myself, but can you really put a price on a great tasting muesli? 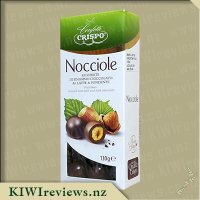 Delicious Nocciole Hazelnuts Covered in Milk and Dark Chocolate.